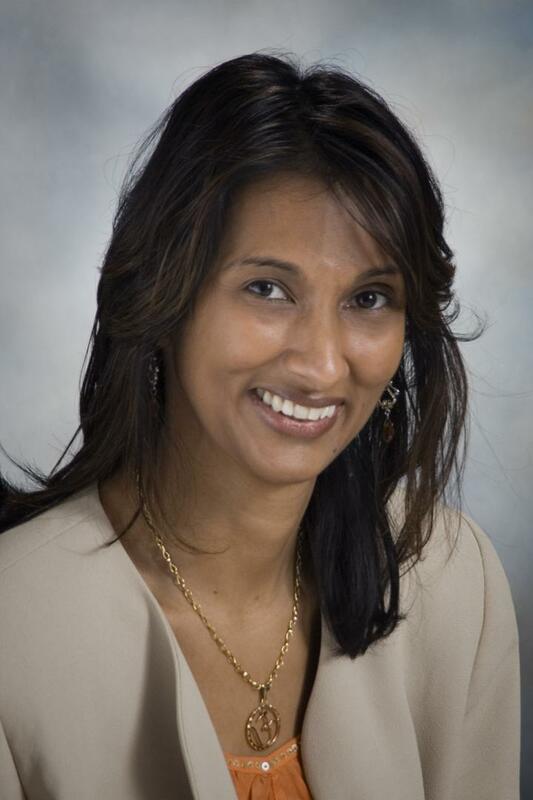 HOUSTON – Padmanee Sharma, M.D., Ph.D., professor of Genitourinary Medical Oncology and Immunology at The University of Texas MD Anderson Cancer Center, has been recognized for her innovative work understanding factors that enhance and hinder cancer immunotherapy. Sharma will receive the William B. Coley Award for Distinguished Research in Tumor Immunology, awarded annually by the Cancer Research Institute (CRI), at an annual meeting co-sponsored by CRI in New York Sept. 30 to Oct. 3. "CRI has played an inspiring and central role in advancing cancer immunotherapy, so I'm honored and excited to earn this recognition," says Sharma. "Immune checkpoint therapy has improved survival and provided durable clinical responses for thousands of advanced-stage patients with different cancer types, yet there's more for us to learn in order to increase the number of patients who benefit from this novel treatment." Immune checkpoint drugs enable T cells, the soldiers of the immune system, to work better by blocking inhibitory proteins on T cells that normally act to limit T cell responses. "Science-driven efforts led by Dr. Sharma and recognized by CRI are crucial for identifying mechanisms of response and resistance to immune checkpoint inhibitors so we can develop rational combination therapy strategies to further enhance anti-tumor immune responses for the benefit of patients," said Giulio Draetta, M.D., Ph.D., interim Chief Science Officer at MD Anderson. "Dr. Sharma's research, excellent patient care, and leadership have been vital in establishing MD Anderson's essential role in advancing cancer immunotherapy." For Sharma, the key to understanding the dynamics between immune response, tumors and their surrounding environment has been in-depth longitudinal analyses of patients' tumors prior to and after treatment with immune checkpoint therapy. CRI notes Sharma's pioneering use of immune checkpoint therapy, such as anti-CTLA-4 therapy, before surgery to evaluate the immunologic impact of these drugs on the tumor microenvironment. Two such clinical trials led by Sharma – in bladder and prostate cancer – established the vital role of the immune-stimulating ICOS molecular pathway promoting tumor destruction after anti-CTLA-4 checkpoint therapy. These findings opened ICOS stimulation as a potential target for immunotherapy. Pre-surgical trials also helped determine the safety profile of immune checkpoint inhibitors in combination with surgery, a treatment strategy under development in a number of cancers for earlier-stage disease. Sharma is scientific director of MD Anderson's immunotherapy platform, which supports biopsy-based analysis before, during and after immunotherapy treatment in more than 100 clinical trials. "That's the basis for the translational research platform, to make sure we evaluate human immune responses in patients treated with immunotherapy agents, which helps us to understand the biological mechanisms at work, not just the clinical endpoints," she says. One recent project led Sharma and colleagues to successfully propose a checkpoint blockade combination clinical trial for prostate cancer – a disease that has resisted immunotherapy. Sharma also continues preclinical research to identify and characterize other molecules that act as checkpoints or immune stimulators. As a clinician, Sharma has led clinical trials that helped advance immune checkpoint blockade to U.S. Food and Drug Administration approval for advanced bladder and kidney cancer. Coley Award honorees receive a $5,000 prize and a gold medallion bearing the likeness of Coley. Sharma will deliver the William B. Coley Lecture on Sept. 30 during this year's CRI-CIMT-EATI-AACR International Cancer Immunotherapy Conference (CICON). The Cancer Research Institute (CRI), established in 1953, is the world's leading nonprofit organization dedicated exclusively to transforming cancer patient care by advancing scientific efforts to develop new and effective immune system-based strategies to prevent, diagnose, treat, and eventually cure all cancers. The Coley award was established in 1975 in honor of Dr. William B. Coley, a pioneer of cancer immunotherapy, whose daughter, Helen Coley Nauts, founded CRI.